Murder by Gaslight: The Raven Stream Crime. 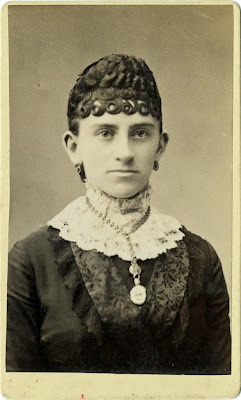 Rose Ambler said goodnight to her fiancé at the Raven Stream Bridge, the night of September 2, 1883, and started walking home alone as she usually did. She was never again seen alive. Her body was found the next day, beaten and stabbed, and the perpetrator was never captured. Rose Ambler joined Mary Stannard and Jennie Cramer in the growing list of unpunished Connecticut murders. Rose Ambler was visiting was visiting with her fiancé, William Lewis, at his father’s house the evening of Sunday, September 2, 1883. They were to be married on Thanksgiving and would move into a new house that Lewis was having built. Around 9:30 Rose started walking back to her parent’s home, about a mile and a half away. Lewis walked with her as far as the Raven Stream Bridge, but Rose declined his offer to walk her all the way home. She knew he had to get up early the next morning for his job peddling vegetables and felt safe walking through the peaceful neighborhood outside of Stratford, Connecticut. That night, Preston Hodges who lived not far from the bridge, was awakened by a violent thunderstorm. Around 11:00 he heard an intense scream; at the time he thought it was an owl screeching. The following morning the body of Rose Ambler was found, beaten and stabbed, lying near a wall in a meadow between the bridge and Hodges’s house. It was thought that she had been raped. Rose was not carrying any money and there did not appear to be any other motive for the crime. The first suspect was Boston White, a young black man with a bad reputation in Stratford. A group of angry citizens broke into his house and demanded that his mother show them Boston’s clothing so they could check for blood stains. They found no blood, and Boston White had an alibi. He had been sleeping in a stable several miles away, a fact that was verified by the stable owner. He knew Rose Ambler, as did most residents of Stratford, but he had no connection with her. In fact, there had been no evidence against Boston White other than his reputation and he was soon dismissed as a suspect..
An autopsy revealed that Rose had not been raped, forcing investigators to look at her rather complicated personal life for a motive. She was born Rose Clark and at age 18 was engaged to be married to a sailor. He went to sea and was gone longer than anticipated. While he was gone, she married Norman Ambler, a farmer who lived near Stratford. Rose and Norman Ambler were divorced several months after their marriage and it was rumored that she was abused by her husband. It was later uncovered that Rose had been cheating on him. Norman Ambler’s cousin and business partner, William Lewis, was living in the same house with them. Rose fell in love with Lewis and he returned her affection. When Norman learned of this he sent Lewis away. Norman and Rose began quarrelling which led to separation and divorce. Rose Amber was usually described as pretty or even beautiful but this was disputed by a New Haven newspaper which said that she was “…hardly up to the average in good looks…She was however, intelligent, and was highly esteemed and universally liked.” William Lewis knew that she was also fickle and flirtatious. Lewis, who was described as “…an ideal Connecticut countryman, with oiled hair, bushy blonde whiskers, and blue flannel clothes,” was also extremely jealous. A day after the body was discovered, Deputy Coroner J. A. Joyce began a closed-door inquest to investigate the murder of Rose Ambler. While the Coroner was taking testimony, the Stratford police, assisted by Pinkerton detective J. S. Wood, continued to look for evidence. A reward of $300 – later raised to $1,000— was offered for information. The first suspect to emerge from the inquest was Norman Ambler. 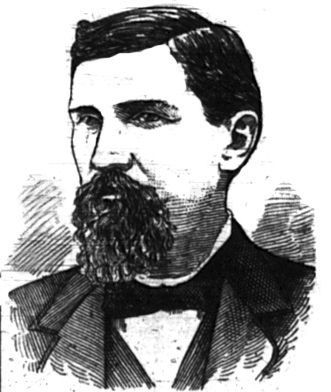 A witness testified to seeing him in town that day and his threats against Rose and William Lewis were well known. But since the divorce, Ambler had been living at the home of Henry Hatch in New Milford, forty miles away. Hatch swore positively that Ambler was home in bed the night of the murder. 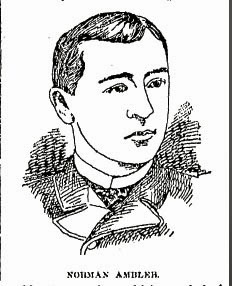 Boston White was brought back in to testify, this time to be asked about a companion of his, a white man named Michael Heslin. There were three deep scratches on Rose Ambler’s neck and Heslin was known to be missing a finger. Edward Bertram testified that he saw Rose Ambler walking with a man Sunday night. Miss Julia Roberts saw a man behaving strangely near the bridge that night. Neither could identify the man they saw but both knew Michael Heslin and could swear that it was not him. Another suspect was an unnamed man staying at a hotel in Stratford. There had been complaints from women claiming that he had been harassing them. It was believed that he was the unidentified man seen with Rose that night. Though the detectives had ruled out William Lewis as a suspect, he was rapidly becoming the prime suspect of the inquest. Blood stains were found on the lap-robe in Lewis’s carriage. Some fibers found on Rose’s clothing matched fibers from the lap-robe. Though it had rained that night Rose’s clothes were dry. It was thought that Lewis had murdered her in his barn then wrapped it in the lap-robe before dropping it by the wall. Witnesses testified that he and Rose had been heard quarrelling and it was speculated that he either had second thoughts about the wedding or had killed her in a fit of jealousy. But William Lewis had a solid alibi as well. The inquest went on until September 29 and reached no conclusion. There was not enough evidence to charge anyone with murder, though it was stated that the jurors “think suspicion points toward” William Lewis. No one was ever charged for Rose Ambler’s murder and the case remains unsolved. Speculation as to what really happened the night of September 2, 1883 continued for years. Most theories involved Rose having a romantic relationship behind Lewis’s back and was either killed by her new lover or by her jealous fiancé. 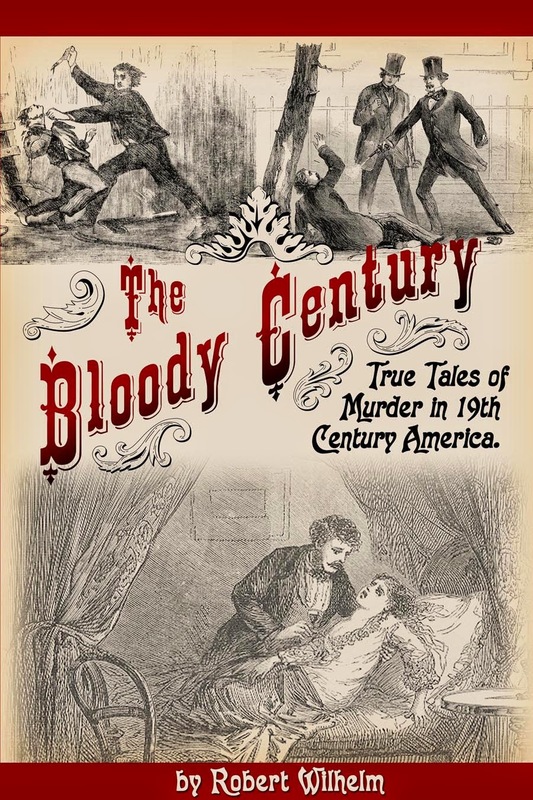 Now, we do not believe that the murders committed in Connecticut are any more mysterious in their essence than the ordinary crimes committed in other states. The trouble is that there is no adequate machinery of law to deal with them…You cannot trust the untrained minds of a lot of excited countrymen to study out the immediate and urgent necessities in such a case as the Rose Amber murder, which is now throwing an interesting gloom over a small Connecticut community…By the time that the Medical Examiner and the Coroner have had their fight out, and the Inquest—which is no inquest, but really a trial—is concluded, any murderer of average intelligence has had time to either escape or to cover up his tracks. Twain, Mark. Mark Twain's Notebooks & Journals, Volume 3. San Francisco: University of California Press, 1878. "Rose Ambler.." Aurora Daily Express 6 Sep 1883. "The Mystery Unsolved." New York Times 6 Sep 1883. 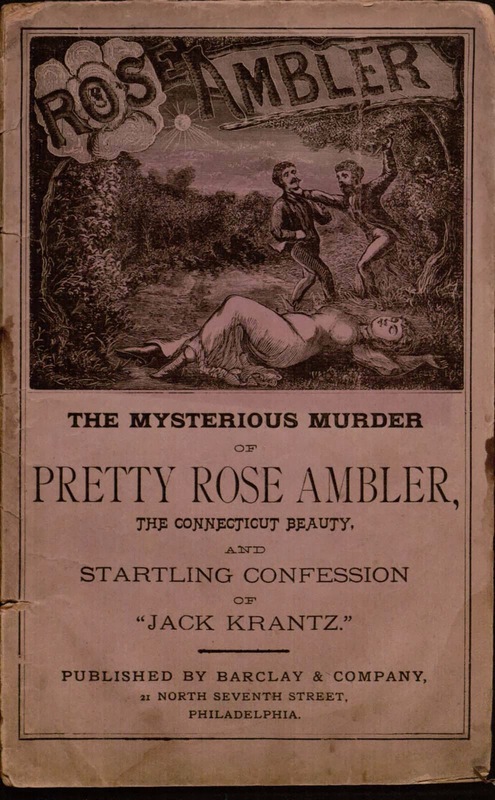 "Rose Ambler's Murder." New Haven Register 5 Apr 1885. "Looking for Bad Lewis." New York Times 23 Sep 1883. "The Raven Stream Crime." New York Times 24 Sep 1883. "Who Killed Rose Ambler." New York Times 11 Sep 1883. "Rose Ambler's Assassin." New York Times 8 Sep 1883. "Norman Ambler's Story." Troy Times 4 Oct 1883. 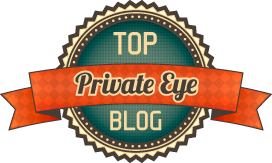 "The Rose Clark Ambler Mystery." Trenton Evening Times 14 Sep 1883. "Rose Clark Ambler." Kalamazoo Gazette 12 Aug 1892. 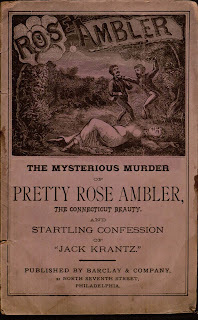 "The Verdict in the Rose Ambler Case." New York Herald 30 Sep 1883. "History of a Crime." Truth 16 Sep 1883. "The Rose Clark Murder Mystery." New York Tribune 7 Sep 1883: 5. "The Stratford Tragedy." New Haven Register 4 Sep 1883. "Cartoons and Comments." 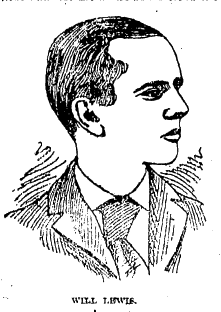 Puck 19 Sep 1883.